New details about Ace Attorney 6 are emerging from Jump Festa 2016. First up, Athena Cykes will be returning in the game. 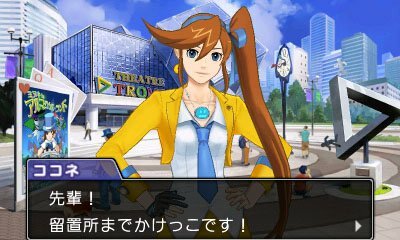 She previously appeared in Phoenix Wright: Ace Attorney – Dual Destinies. Also shown in a demo at Jump Festa, free investigations from previous titles will be possible. We’ll keep you updated as we hear more about Ace Attorney 6.